Regardless whether you plan to move two blocks away or to an entirely different city, there is no question that residential moving is difficult. Especially if you work long hours, have small children, or take care of other responsibilities that consume your time, getting prepared for a move is beyond challenging. Fortunately, you have a number of options that will make your move easier and thereby less stressful. Choose an Experienced Moving Company – For one thing, it is imperative that you hire the right residential moving company. By choosing a company that has years of experience and expertise specific to the moving and storage industry, you have greater peace of mind that your belongings will arrive at your new home unscathed. To identify the most qualified movers, it is worth spending a little time to conduct research. Research the Right Type of Movers: Local, Long-Distance or International Moving Companies – Residential moving will also be easier if you focus your research efforts on the right type of movers. After all, there are local, long-distance, and international moving companies, each offering somewhat unique services. As an example, if you plan to move to a different city but within the same state, you want to research companies that provide long-distance services. Find a Company Who Offers More – You should consider companies that provide additional services in relation to residential moving as well. For instance, if you hire a company that handles all of the packing and unpacking, the amount of work that falls back on you diminishes significantly. Although there is an additional fee for this type of service, it is money well spent. Of course, before you do anything, it is important that you get as organized as possible. For your upcoming move, ask friends and family members if they would help by going through items, separating trash from things that can be donated. That way, there is less to deal with on moving day. Keep in mind that for long-distance moves, which are typically further than 100 miles between a current and future home, the cost is based on the number of pounds on the truck. Therefore, moving fewer items will save you money. The bottom line is that with a little bit of preparation and by hiring the right company, residential moving becomes far less complicated. For added assurance, be sure the company that you hire meets the appropriate licensing requirements and offers the right amount of insurance protection. If no license is in place, choose a different mover. If the insurance coverage is inadequate, you can contact your local provider to request a special policy specific to your move.  If you live in the Boston Metropolitan Area or Providence, Rhode Island, Rainbow Movers is your trusted moving company. Give us a call today at 508-528-4111.